Detoxing Your Home: Non-food Items | I Can Run, So I Will! It’s time to be aware of how you treat the biggest organ in your body- Your skin. It is the largest and fastest-growing organ in the human body. It is the vital layer that protects your insides from the outer surroundings. 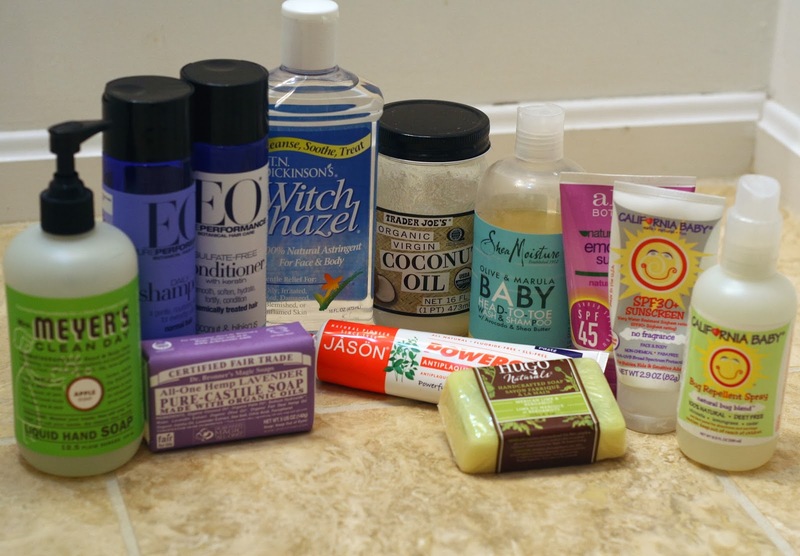 So why is it necessary to switch your cleaning and bathing products? Absorption. Transdermal medications show how effective this can be. They have patches for nicotine, pain, birth control, among many others that are administered via the skin. Now lets go back to the products you use, and what your skin has exposure to. Can I ask, what is the deciding factor on which product you choose to purchase- is it cost? Smell? Now, lets go though your daily routine. Wake, shower, put on lotion, brush my teeth,over the counter acne medication, put on makeup, occasionally use a tampon or pad, dress myself, put hair product in my hair to style, drink some water, eat breakfast, wash my hands, do some laundry, clean the house. Now, had I really paid any attention to WHAT I was using? Had I read the labels? Most products used in the store contain many of the top allergens (wheat and soy protein are very common!). And most contain chemicals to keep them shelf stable (preservatives) that are carcinogens. When I first started I slowly switched over my old products with new alternatives. There was some trial and error, as some of the first products I had tried I found unsatisfactory. Take for instance, Shampoo and Conditioner- I had tried some products that left my hair greasy, some that made my hair feel wet all day, some that dried out my hair, some that made it feel ‘squeaky’? (Ew! I never knew that could even be a possibility!) I also found that some products claiming to be ‘natural’ indeed had ingredients I found unnecessary and undesirable to use on my body. So lesson #1, and this lesson will be repeated throughout- READ YOUR INGREDIENT LABELS! Not just on your food, but any product you purchase. Did I see a difference? Yes. I have twice as many eyelashes then I’ve ever known. My hair is thicker. I dont sweat or smell as much when I strength train or run. My face has less acne. My skin looks more vibrant and I can swear my skin even looks a bit younger (less wrinkling) ! A great website I used when I first started to make the switch is Skin Deep a non profit website where you can search specific products and the website has ratings for hazardous or toxic ingredients. Bonus: they also reference to studies and reports. It can be pricy making the switch. As my products ran out I just replaced them with healthier alternatives. Some products can even be made at home- I have now gotten to the point where I make my own deodorant, dish washing tablets, shampoo/conditioner, laundry soap- and my next project is to make bar soap! Future blog worthy? You bet! So start taking notice of how often your skin comes in contact with day to day products. Also, what you are breathing in- air fresheners and perfumes. Start reading labels and educating yourself on what you feel to be safe or unsafe to use. I highly recommend doing a detox from conventionally used products and see how your body reacts! – for the little ones! Ingredient for homemade cleaning products. Use as directed and also an ingredient for homemade cleaning products. I get the super cheap kind (marked Not For Food with a sharpie!). 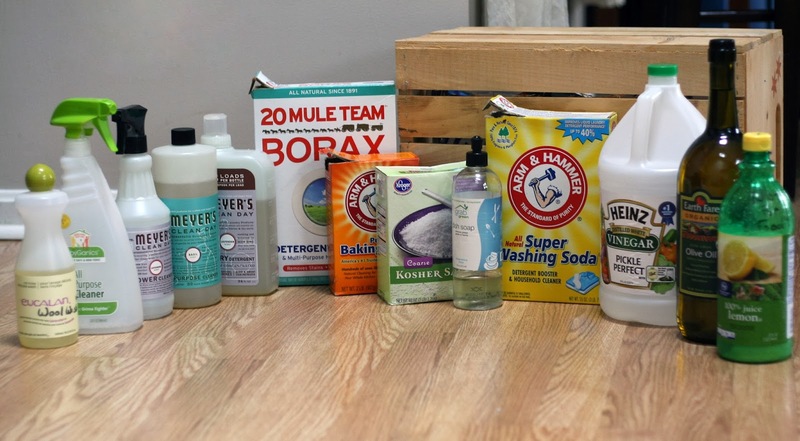 Ingredient for homemade cleaning products. Sunfeather – Bar Soap Merry Go Round – 4.3 oz.